This 3 bedroom 2 bathroom detached holiday home is comfortably furnished, and features a private swimming pool and a well stocked private garden. This 3 bedroom 2 bathroom detached holiday home is comfortably furnished, and features a private swimming pool and a well stocked private garden. The home is situated in a very attractive and sleepy little hamlet divided in two: Cause, has a Romanesque-Byzantine church dating from the end of the eleventh century and Clérans has the imposing ruins of a twelfth-century medieval castle built on Carolingian foundations.In the twelfth century Clérans and Cause were joined as one parish. The attractive ruins are clearly visible from the pool terrace. 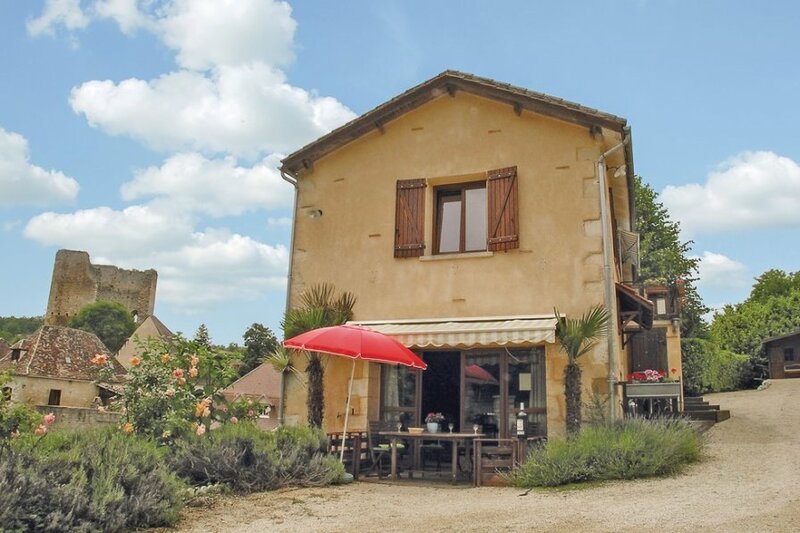 This is an excellent location from which to explore all that the Dordogne has to offer including the famous wine-producing town of Bergerac on the banks of the River Dordogne. Here you have excellent markets, boat trips, wine museum and many cultural events are held throughout the year. Water sports can be found at Trémolat and the colourful riverside market town of Lalinde with shops and supermarket is just a short drive away. The château at Monbazillac is close by and open to the public. This beautiful villa is made from brick or stone. The agent has rated it as a four star property so it is a well-equipped villa with above average furnishings. It is also great value for money. This villa has a private pool and is located in Cause-de-Clérans, only 9km from Lalinde. It is set in a good location: there is a restaurant 9km away.